A Florida judge has recommended that 14 auto body shop lawsuits against insurers be dismissed until more specifics are provided. The report by Florida Middle District Magistrate Judge Thomas Smith last week also highlights different legal precedents which might apply to the 12 states in which more than 60 combined repairers had sued insurers alleging price-fixing and steering. That indicates some states’ repairers might have more law on their side than others to make nearly identical applications. To avoid legal repetition, a federal judicial panel has given cases from about a dozen and a half states’ collision repairers to Florida Middle District Judge Presnell to hear, though each states’ own laws will apply to the decisions if they differ from Florida’s. Smith’s job is to review filings and give Presnell recommendations for rulings; so far, he hasn’t disagreed with Smith. Though no lawsuit so far has survived Presnell’s rulings in the first round of motions to dismiss, the shops in the previous half-dozen or so states have all heavily revised their arguments to include all kinds of juicy new details. (It’s been implied that these were absent in the earlier version of the case as a legal strategy.) It’s likely this will happen for these states’ repairers too. It’s also interesting to note that while Smith didn’t feel as though tortious interference “steering” were well enough developed to stand for now, he did indicate the misrepresentation shops were alleging was happening would count as grounds for a tortious interference suit if true. The cases all accuse insurers of steering and price-fixing and are in most cases being handled by the same attorneys: Jackson, Miss.-based Eaves Law Firm. The massive collection of cases discussed — a difference from Smith’s past state-by-state reports — involves cases in Missouri, Kentucky, Pennsylvania, Washington, Illinois, Virginia, Arizona, Oregon, Michigan, New Jersey, California and Alabama. The Illinois recommendations apply to Kallemeyn et al v. 21st Century et al but not Crawford v. State Farm RICO lawsuit filed in Illinois by Pennsylvania and North Carolina auto body shops. Neither Smith nor Presnell have made any determination in that case. As he and Presnell had supported in the past, Smith recommended most of the “charges” in the 14 cases discussed June 3 be dismissed “without prejudice,” which gives the shops a second chance. However he did support dismissal “with prejudice” of allegations like “quasi-estoppel,” which if Presnell agreed would squash those allegations for good. Nobody’s won “quasi-estoppel” — or “Estoppel/Quasi-Estoppel” or “Equitable Estoppel,” as similar concepts were called in some states’ lawsuits here — so the plaintiffs shouldn’t be too discouraged. Only twelve of the 14 lawsuits discussed in the report even bothered to make that complaint, which basically sues someone for applying a double standard to themselves. It’ll be interesting to see if the collision repairers file objections, which they’d unsuccessfully tried in a few of the states already considered by Smith and Presnell. Here’s a look at Smith’s rationale for dismissal and which states might have a better chance of raising the particular issue. Smith makes the case to drop all the lawsuits for now because of their tendency to involve multiple plaintiff body shops and defendant insurers without explaining much more than what the insurance industry has allegedly done to the collision repair industry. As we noted before, collision repairers have “re-sued” with more elaboration on who did what to whom. All 60-plus collision repairers accused insurers of unjust enrichment (getting a benefit without paying for it), and they also alleged quantum meruit (which is messily similar) in every case except those filed in California, Alabama, Oregon and Missouri. To sue someone for unjust enrichment in any of the states, you have to show that they received a benefit at your expense in a way that was unfair. 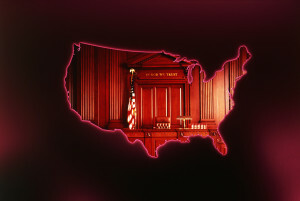 However, some hold that the defendant personally has to receive the benefit; it can’t go to a third party connected to the defendant. Given the triangular nature of many auto body repairs — a shop repairs a car owned by a person covered by an insurer who pays the shop — the state’s precedent on this point matters. In this case, since Smith felt the allegation should be dismissed on other grounds, he didn’t go into this issue state-by-state (though an example from Pennsylvania indicated that repairers in AASP et al. v. Erie et al and AASP et al v. State Farm et al might have a shot). It’ll be interesting to see how this plays out across the 14 states in the likely inevitable revised lawsuits. One interesting side note: Smith observed that GEICO also argued that it’s “common knowledge” that their duty is to cover the amount of the vehicle damage, not actually repair the car, and so the repairs don’t benefit the company. However, he attacked that rationale. “This is hardly ‘common knowledge’ or ‘obvious,’ and may not be true,” Smith wrote. “GEICO’s standard auto insurance policy for the state of Kentucky for example, expressly gives GEICO an option to ‘repair or replace the damaged or stolen property'” instead of payment. The sticking point for shops seems to be the notion that they didn’t have to agree to the insurers’ allegedly one-sided terms, based on Smith’s report. Perhaps there is some room to argue this under the “legal duty” and “protect their own interests” ideas, as shops have alleged that they’re forced to charge a customer or eat the cost of the difference between doing the repair right and the way an insurer trying to save money wants it done. As doing it incorrectly could raise liability issues, there’s no choice but to do it correctly even if the insurer in some cases gets a satisfied customer without having to pay for the work delivering that satisfaction. However, Smith seems to imply later that he’s referring to work done to protect someone’s interests when there’s not chance available to negotiate. Smith wrote that six states might have enough differences between unjust enrichment and quantum meruit that their shops could try and sue for it, and he went into greater detail for those cases. Alabama: You need an implied contract, not a real one, to sue for quantum meruit in Alabama, according to Smith. They can be implied in fact — some agreement without the formal “sign on the dotted line” — or in-law contracts which the law treats as unjust enrichment. Smith said that if Alabama shops didn’t show any evidence in Only One et al v. State Farm et al that both sides agreed to the implied contract, they couldn’t claim “contract in fact,” and if they were going for an “in law” contract, it should fail for the same reason the unjust enrichment allegation should be dismissed. Illinois: Illinois law does allow for the existence of quantum meruit where a plaintiff benefits the defendant intentionally — but not gratuitously — and no contract exists. So the collision repairers might have an argument here, but Smith said they didn’t provide enough details to prove it so far. New Jersey: Technically, New Jersey says that quantum meruit is different — but “probably not functionally,” Smith observed. In any case, he wrote, the case didn’t overcome the unjust enrichment hurdles of the shops in Ultimate v. State Farm et al and Quality Auto Painting v. State Farm et al knowing that insurers probably wouldn’t pay the desired amounts and doing the repairs without negotiation was done to protect someone’s interests. Kentucky: Kentucky might treat the two legal terms differently; then again, it might not, Smith wrote. But if they are different, he wrote, then quantum meruit only works when you give someone an actual service or good, not just a “benefit” like helping a policyholder. So no luck here for Campbell v. State Farm et al, based on Smith’s recommendation. Virginia: The usual split personality applies here — Virginia courts have both indicated quantum meruit is the same as and different than unjust enrichment. If it’s different, shops in Lee Pappas et al v. State Farm et al have the same issue as in Washington, according to Smith: Insurers never asked the shop to do the repairs, based on the lawsuit so far. This one is the same in all the states, according to Smith: A defendant gets in the way of a possible business relationship between a plaintiff and client. In Arizona, California, Illinois, Michigan, Missouri, Virginia and Washington, the defendant has to know about the relationship, Smith wrote. Smith agreed that shops in all twelve states were alleging insurers misrepresented repairers quality and integrity, something that would definitely qualify as tortious interference if shops could be more specific about which insurer did what to whom. “Making false and disparaging statements about another’s business is tortious in and of itself, and such conduct, if properly alleged, should survive a motion to dismiss,” he wrote. Alabama: The shops in Only One might have a tougher time on this one even if they make a better argument for the alleged misrepresentations. Smith wrote that Alabama requires that you can’t sue someone who isn’t a “stranger” to the business relationship for tortious interference. Since there’s no argument refuting that the insurers weren’t part of the relationship (They were after all presumably covering the policyholders to whom they’d allegedly made the improper statements. ), that claim was dismissed. Arizona, Illinois and Michigan: You can sue someone for interfering with your relationship with a broader group of customers, according to Smith. If this would include allegedly disparaging a body shop to the insured driving public, the shops might be able to find additional interference accusations to level. Alabama, Virginia and Washington: Virginia requires a “‘specific, existing contract or business expectancy'” for a tortious interference lawsuit, Washington demands a specific third party, and Alabama calls for a “‘protectable business relationship,'” according to Smith. In other cases Smith and Presnell have considered, the shops initially dismissed amended their lawsuits to provide specific allegations of insurers working to “steer” particular customers. Even if the shops in Alabama, Washington and Virginia do this, it sounds like Washington might have the best shot depending on how tightly the other two states define the terms above. Nine of the 14 cases allege conversion, which is basically keeping money that doesn’t belong to you. But after insurers argued that those shops’ states didn’t allow a conversion lawsuit for an unpaid debt, the shops in all of those cases agreed, except the Michigan action Rodenhouse et al v. State Farm et al and the California Pacific Coast et al v. State Farm et al. Michigan: The shops argued that the Michigan Supreme Court is looking at the idea of conversion, and so the federal court should delay a decision on dismissal until that state ruling. But Smith didn’t agree. California: Smith felt that even though California was broad about what counted as conversion, plaintiffs still have to specify how much money was involved, and so he dismissed the case. Alabama, Illinois, Michigan and Pennsylvania shops also argued that the insurers didn’t hold up their legal responsibility to pay for repairs “'[t]hrough intimidation, coercion, collusion, boycotts, and simple flat refusal,'” according to Smith. Alabama: Alabama shops withdrew their claim. Pennsylvania: Smith felt that a private party couldn’t sue over this issue under the Pennsylvania Unfair Insurance Practices Act, only the insurance commissioner. Illinois: Illinois shops cited a breach of obligation case under one or both of two state statutes which already allow for civil actions, and Smith recommended against trying to create a new interpretation of the law. Also, the usual: Give the court more details to support the allegations. imply one in order to expand the legislature’s chosen remedial scheme,” he wrote. Some shops also sued under violations of state trade practice laws, and these were a no-go for now. See Smith’s report for more details.